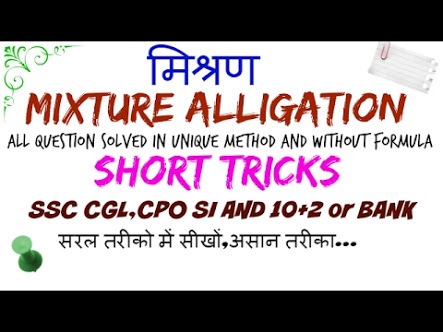 Mixture and Alligation shortcut tricks are very important thing to know for your exams. Time is the main factor in competitive exams. If you know time management then everything will be easier for you. Most of us miss that part. 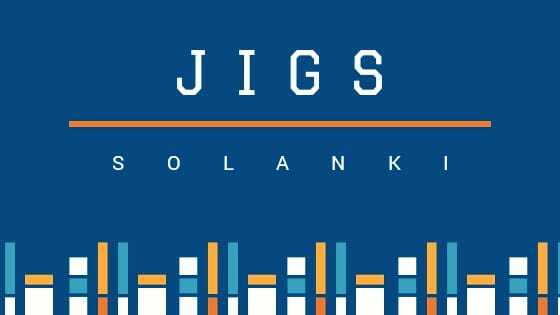 Few examples on mixture and alligation shortcuts is given in this post. Mixture: Mixing of two or more than two type of quantities gives us a mixture. Quantities of these elements can be expressed as percentage or ratio. 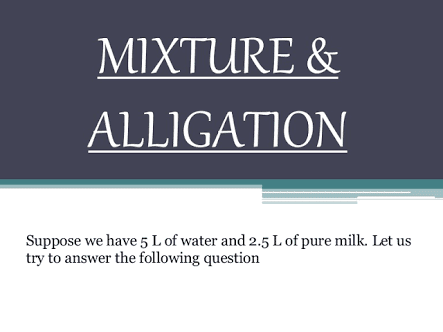 Alligation: Alligation is a rule which is used to solve the problems related to mixture and its ingredient. It is the rule that enables us to find the ratio in which two or more ingredients at the given price must be mixed to produce a mixture of desired price. Math section in a competitive exam is the most important part of the exam. That doesn’t mean that other sections are not so important. But only math portion can leads you to a good score. You can get good score only by practicing more and more. You should do your math problems within time with correctness, and only shortcut tricks can give you that success. But it doesn’t mean that you can’t do math problems without using any shortcut tricks. You may have that potential that you may do maths within time without using any shortcut tricks. But other peoples may not do the same. So Mixture and Alligation shortcut tricks here for those people. We try our level best to put together all types of shortcut methods here. But we may miss few of them. If you know anything else rather than this please do share with us. Your little help will help others.